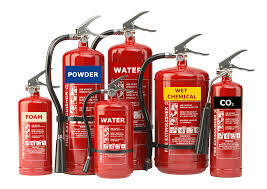 We supply and install all types of fire extinguisher and provide an ongoing maintenance service. Recommending the types of fire extinguishers to install along with their location to ensure the optimum protection and also comply with legislative requirements. Providing a competitive quotation to supply and install to fire extinguishers. Offering a scheduled maintenance programme. If a property is already equipped with fire extinguishers, we also offer a “take-over” service, whereby we would complete a free survey to ascertain the level of protection and make recommendations if necessary to ensure optimum protection. If you then decide to transfer to MRM Solutions, we will prepare a take-over package, including a maintenance programme, for your consideration.